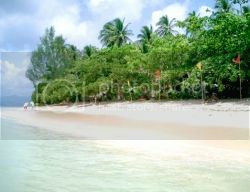 I’m from Quezon, Province but I wasn’t aware that many of the beautiful beaches can be found in our place. Many of them were already featured in TV shows and there I learned about these beaches that our place owned. Next to Lucena City is Sariaya Quezon so its near to us but I’m not aware that this beach and pool resort is existing since 1990. 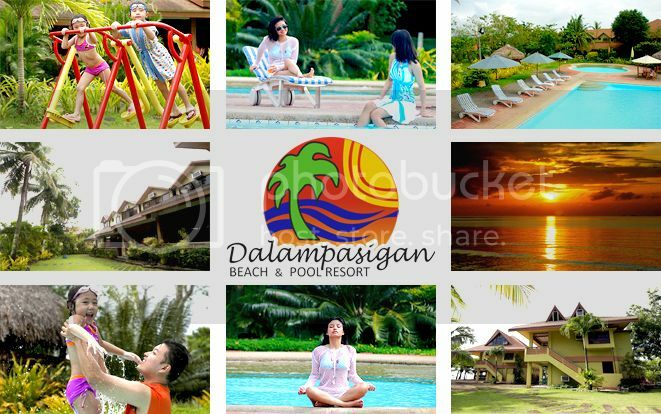 Different amenities to enjoy are beach, swimming pool, kiddie pool, restaurant, water falls, river, cottages, hotel, bar, hotel rooms, videoke, spa, function room, function hall, shops. A perfect place for company outings, retreats, team building, conferences, seminars, family outings and other special out of town gatherings. They can accommodate of 5,000 or more guests on a daily function. Spacious parking space for free that can accommodate up to 150 buses, wow that’s huge. The resort offers 66 different types of air-conditioned rooms with attached bathrooms and verandas. 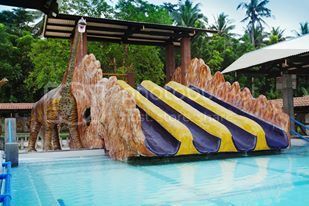 Relax and enjoy yourself in their recreational facilities, and participate in activities such as kayaking, beach volleyball, basketball, table tennis, billiard, dart, and flex your vocal cords in our videoke system. Scattered grillers are also available at no additional charge. For corporate groups, they have event coordinators who can manage your entire event program activities. 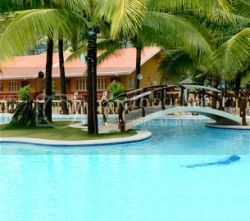 Pueblo por la Playa has 12-hectare Mexican inspired residential and country club situated in the Cove of Pagbilao, Quezon, Philippines. Been here once (see my daughter enjoying swimming below) and the place is really nice. There is infinite swimming pool and another big pool for kid as well. 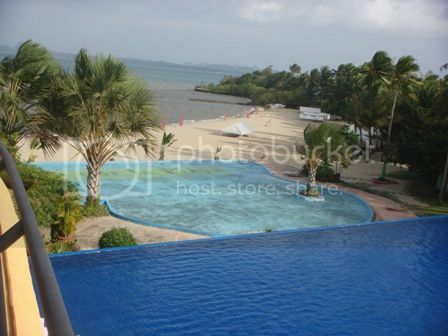 Enjoy also the beach and different amenities that this place can offer. Be it a weekend getaway or a permanent abode, the PUEBLO offers a life of comfort and enjoyment. Luxuriate in the comfort of choice villas and mansions, and revel in the panoramic vistas of land, sky and sea. A place situated at the foot of the splendid Mount Banahaw. 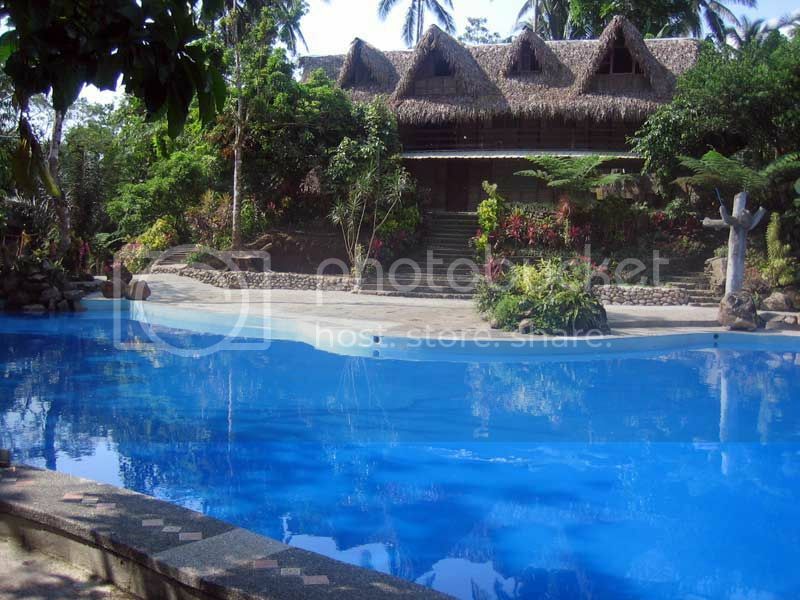 Its also the nearest hotel actually only a short walk away from Kamay ni Hesus Church and Vio Dolorosa Grotto. Water slithering through your paddle as cool winds blow against your hair, in the middle of the stream, its just you your boat and your paddle. It is said that fishing is one of the most relaxing activities to do if you’re tired of the hustle and bustle in the city. 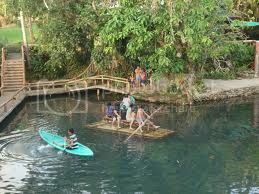 They have it here in Batis Aramin. An open air covered sports court. Aside from Basketball, Volleyball and Badminton F Valde Multipurpose Gym is available for any sporting activity you could come up with. In F Valde Multipurpose Gym, rain or shine, you’re always game on. After a trip around the beautiful resort, the four swimming pools to choose from is a perfect way to help you relax and enjoy more of nature. Located by the quaint little town of Mauban, Quezon Province, beach lovers get to enjoy a 45-minute bangka ride to get to Pansacola Beach Resort in Cagbalete. 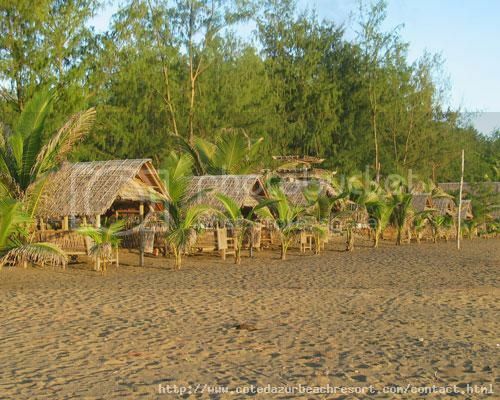 For accommodations, nipa huts and wooden lofts are available to give you the experience of “roughing it”—you’d be surprised at how the evening sea breeze beats your usual air conditioners at home. With the staple of five meals per day, you will surely get more than you bargained for when it comes to food. At low tide, the clear blue water is transformed into a massive expanse of sand, perfect for games with your friends. At night, be amazed at the wide blanket of stars on the clear sky. 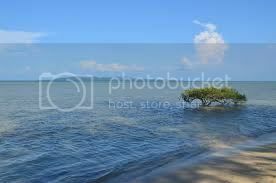 My mother is from Mauban, Quezon but we rarely visit the province. Well, i know now where to go and stay in case we visit mother’s native place. 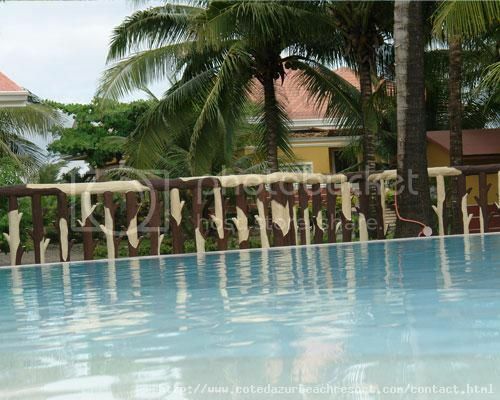 Cote de Azur Beach Resort is located at Barangay Abiawin, approximately 2 kilometers from the town proper. The place is for you to explore. Experience the warmth of the sun brushing your skin, enjoy the clear waters of the wide swimming pools for kids and adults. Enjoy the cool breeze along the shoreline and feel the serenity of nature while watching the sun rises along the wide beach and enjoy swimming with family and friends for relaxation after a tiring day!! The place is best for family outings & playing ground for kids. It has a hall convenient for seminars, trainings and other special occasions. Air conditioned rooms and cottages are available for your accomodation. 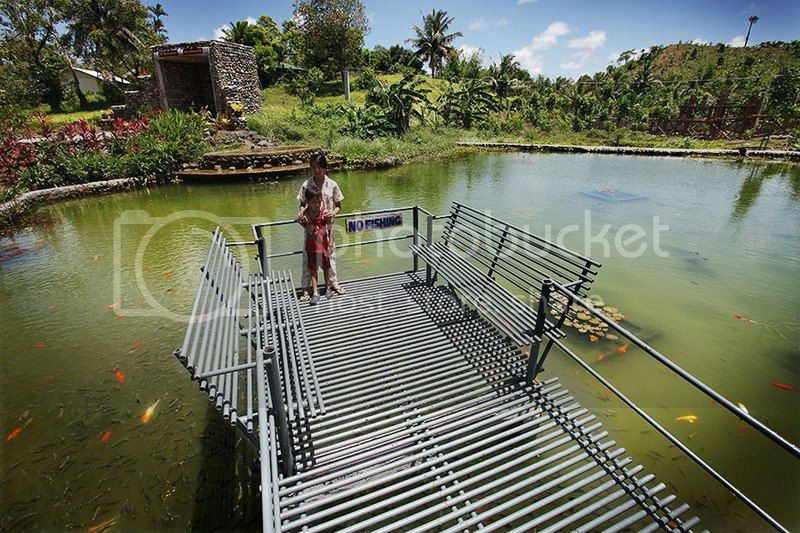 Bokal Na Mainit Hot Springs is a tourist spot in Tayabas, Quezon. We invite you to take a dip at our pools with natural warm water. Some of our pools have roofs so you can relax and enjoy wading, or have conversations in the pool with family and friends without worrying about getting sun burned. This is a very nice place for family gatherings and reunions. 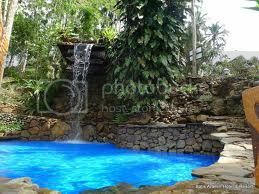 Mainit Hot Springs is nestled at the foothills of Barangay Silangang Palale, Tayabas, Quezon, located along the road going to Mauban, Quezon.